I’m sure that everyone can agree that the Disney Store have released some amazing merchandise already this year! There are some great collections available at the moment, so I thought I would put together a post of my favourite pieces that have been added this month. Mickey Mouse Sketch is the latest collection to be added online. The collection features a range of stationary and homeware. I love the sketch art style and I think that this is definitely a collection which will appeal to a lot of Disney fans. I love that the design is very gender-neautral and is very classic. I have a few favourite pieces including the Mickey Mouse Sketch Card Holder. I love the design as it isn’t too in-your-face Disney and would be perfect for when I am using a smaller bag and don’t want to carry too much. Of the two pencil cases, the Mickey Mouse Sketch White Pencil Case is definitely my favourite. Mickey looks adorable on the front and the red works really well. There is just something about the design, I just love it! The mug and the bowl in the same design are super cute as well. I am wanting another cushion for my bedroom and I think this one might be a contender! 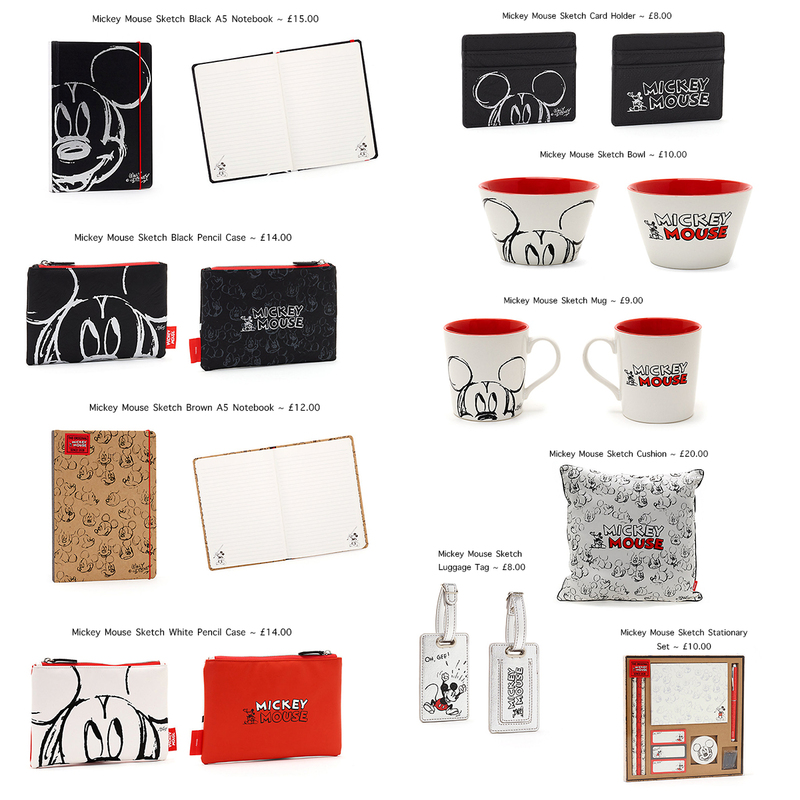 I probably don’t need anymore stationary but I love the Mickey Mouse Sketch Stationary Set. I mean look at the post-it notes! I spotted the new Easter merchandise in the Sunderland Disney Store a couple of weekends ago, which you’ll have seen if you follow me on Instagram, but they hadn’t yet been added to the Disney Store website. Today they added a few more pieces so I thought I would share what is online so far. The Mickey and Minnie are so unbelievably cute. I have seen them all in-store and they are so soft and the colours are beautiful. I know Stitch has been very popular, so I’m sure there are a lot of happy people that he is now online as well. One thing I have noticed is that not all of the Easter merchandise has been added to the website yet. I have some photos of the other pieces from in-store so I have included those below. Hopefully it won’t be too long until they are online as well. 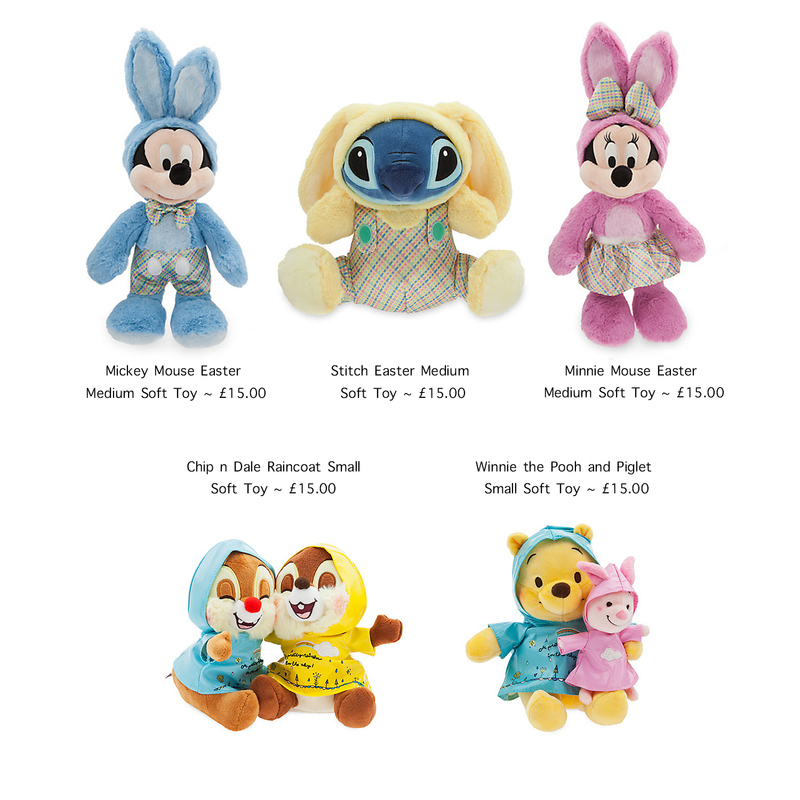 The Bambi, Thumper and Miss Bunny Ufufys will be available in-store and online on February 2nd. Happy National Polka Dot Day! 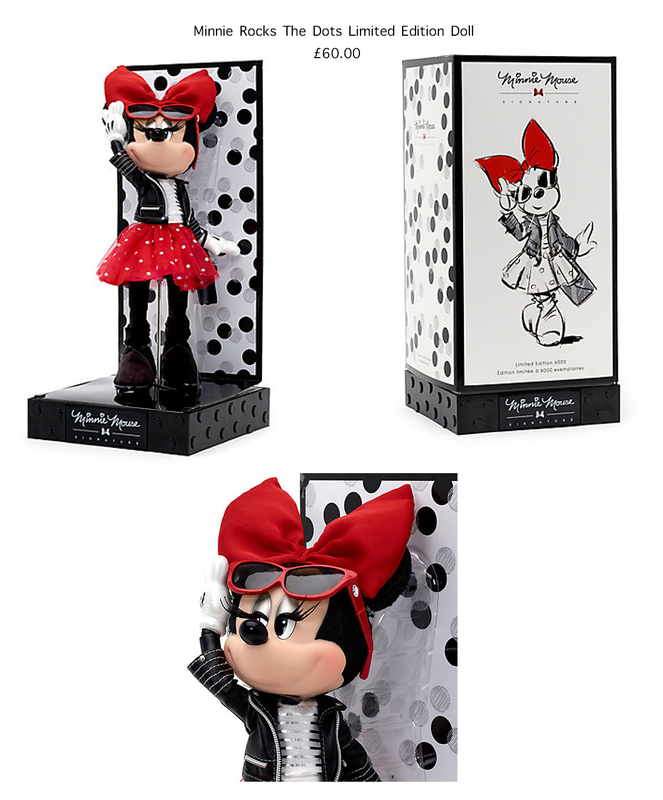 Today the Minnie Rocks The Dots Limited Edition Doll was added to the Disney Store website. The doll is Limited Edition of 6,000 worldwide. It costs £60.00 including a certificate of authenticity and display stand. Personally I’m not a collector of dolls but I can see why people would love this Minnie one! There are so many pieces in the Rock The Dots collection, mainly homeware and fashion. You can find the full collection here. I have picked out a few of my personal favourites below. 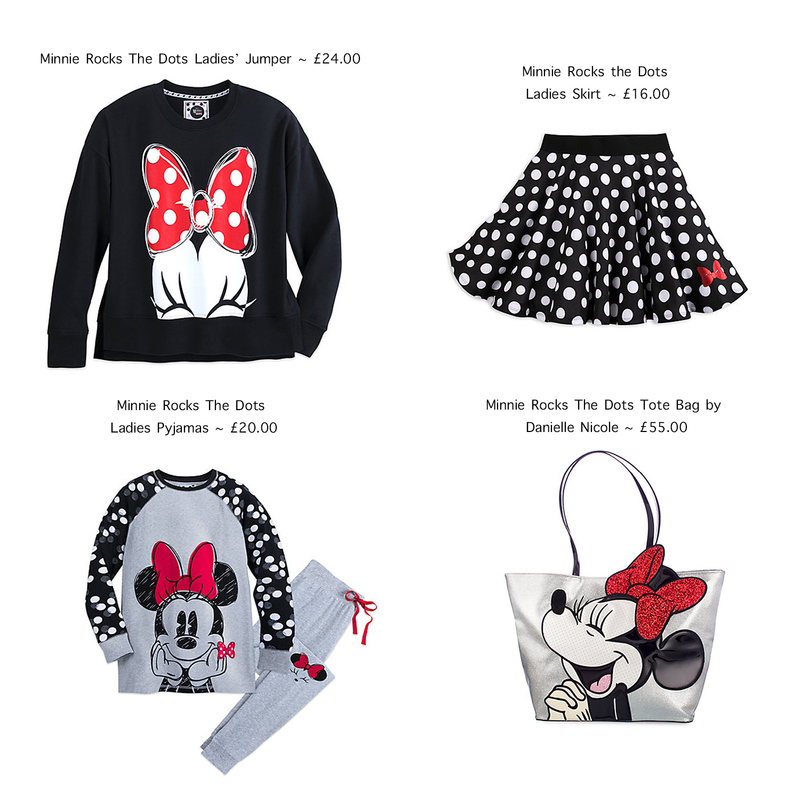 The Minnie Rocks The Dots Ladies’ Jumper is top of my wishlist at the moment. I’m holding on to use my 20% off voucher and then I will definitely be buying it. It is such good quality and I am completely in love with the design. Can’t wait to purchase it! The skirt from the collection is so much fun and would be perfect for the Disney Parks. I can imagine people doing amazing Disney Bounds using this skirt. The pyjamas are the cutest! I love the top so much and I love the ears and the face on the knees of the trousers. Minnie looks too cute! They are a really nice material from seeing them in the shop so I think they are quite reasonably priced. I’m sure most people know that Danielle Nicole creates amazing Disney inspired bags! This Minnie Mouse one, is one of my personal favourites. It is simple yet still absolutely beautiful. It is such a good size as well. However, it only closes with a magnet and I personally prefer a zip across closure. Be sure to make use of your Disney Life discount for this one! Now I definitely don’t need anymore Disney mugs/cups but the Fun Fill Tumbler and the Rock The Dots Mug with Lid are both gorgeous! Minnie looks so cute on them both. 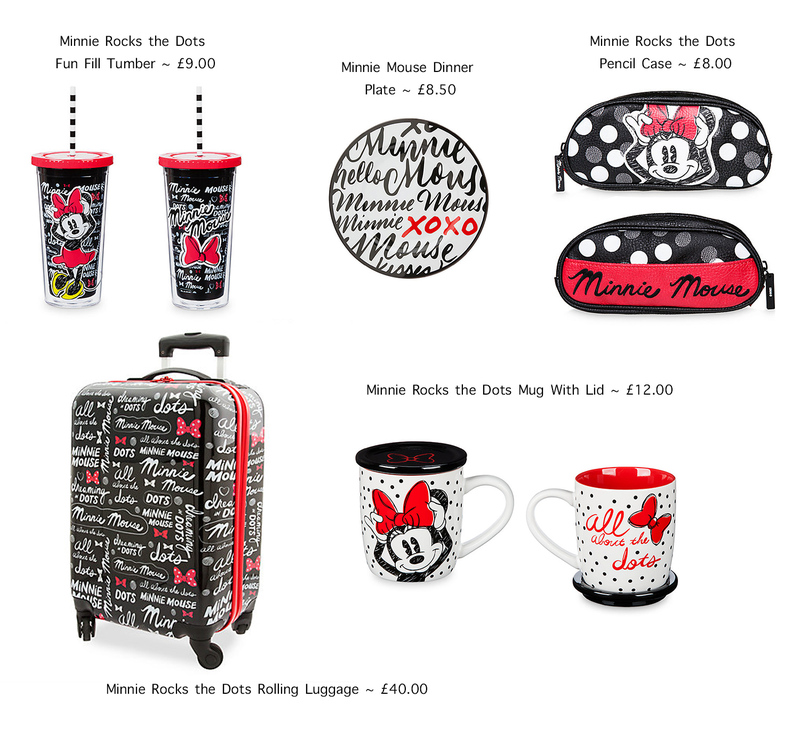 The Disney Store often bring out suitcases and the Minnie Rocks the Dots Rolling Luggage is by far my favourite one yet. It looks even better in person! I’ve included a few photographs from the Newcastle Eldon Square store of the Rock the Dots collection as there are a few pieces that are no longer available online. A lot of the pieces look even nicer in person as well. 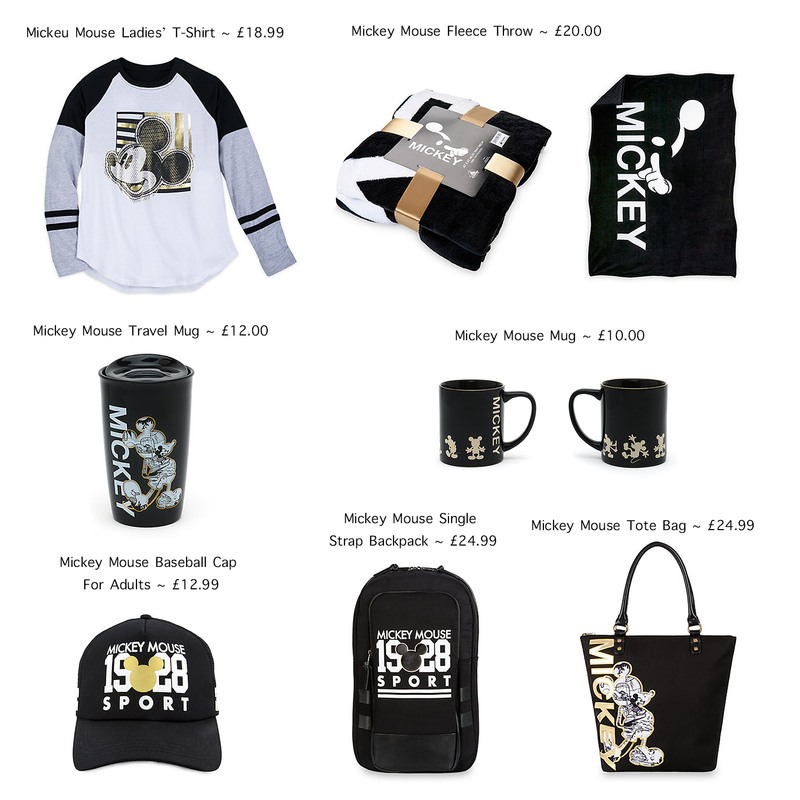 Last but not least, is a new Mickey Mouse collection originally released in Walt Disney World. The collection is largely black and white with gold accents. The collection has a good range of pieces to appeal to a variety of Disney fans. I personally love these pieces, I think it is a great way to add some more subtle element of Disney to your wardrobe and your home. The Ladies’ T-Shirt is by far my favourite piece from the collection. It is perfect for my style and it would be so easy to incorporate into my wardrobe. I think £18.99 is quite reasonable for the Disney Store, especially for such a lovely piece in terms of the quality and the design. The Disney Store do the most amazing soft, warm throws. I already have the Baymax one and if I didn’t already have loads of throws, I’d be getting the one fleece throw from this collection. Hope you enjoyed this post and that it has given you some shopping inspiration! I can’t wait to see what the Disney Store release throughout 2018 as the merchandise has been so amazing already.